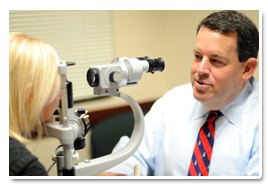 Retina Care Specialists, a South Florida-based retina practice operated by the founders of RCRI, has conducted extensive clinical research on many retinal diseases. With offices in Palm Beach Gardens, Stuart and Port St. Lucie, each doctor brings his unique insight from years of investigational work to benefit patients every day. RCRI was established in 2009 to serve an unmet need in Northern Palm Beach County for a nonprofit organization dedicated to independent medical research and education on eye conditions, with an emphasis on retinal diseases like age-related macular degeneration, diabetic retinopathy, venous occlusive disease, macular holes and retinal detachment. Through its research activities, the RCRI research team provides information of value to other medical professionals in the forms of original and collective research. RCRI also is dedicated to enlightening and cultivating young adults' enthusiasm for careers in science and medicine. The institute introduces pre-medical undergraduate or postgraduate students to retinal research, offering them an opportunity to help develop and present scientific theses at local and national meetings. Most of the retinal research conducted by Retina Care Specialists, LLC, has been sponsored and organized by pharmaceutical companies with a stake in the design, conduct and outcome of the research. Thus, RCRI was founded to utilize Retina Care Specialists' existing infrastructure to conduct independent research to offer the community the most innovative and leading-edge treatments available. Funding from patients and the community allows for greater exploration of clinical information. To learn more about RCRI's funding or to make a donation, click here.